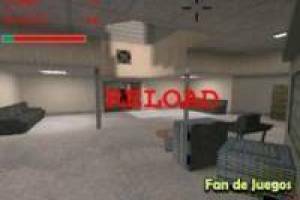 Fantastic version of Counter Strike as a mini-game in which you must defeat all your opponents before it' s too late. You have four missions to fulfill but you will not be able to access all of them until or you have fulfilled the previous one. The first mission will be to defeat fifty enemies at that level and it will not be an easy task. You' ll have to be very quick to shoot your opponents and prevent any of their bullets from snatching part of your health. You will have to survive all the enemies until you reach the objective score. If they manage to kill you before finishing you will have failed and you will have to try again in a new game. If you succeed, you unlock the next level where a new mission awaits you. Get ready to shoot in true Counter Strike style. 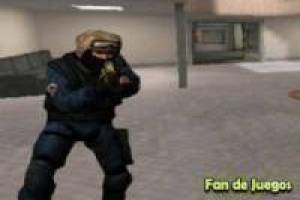 Enjoy the game Counter Strike, it's free, it's one of our counter strike games we've selected.